Lent is a 40 day season of reflection, prayer and preparation for Holy Week and Easter. It begins on Ash Wednesday with the call to 'remember that we are dust and to dust we shall return' as an ash cross is marked on the foreheads of those who attend a service that day. By observing the 40 days of Lent, Christians seek to draw close to Jesus as he withdrew into the desert for 40 days to focus on what God was calling him to be and do. During Lent the church is open every day with a warm welcome to provide a space for our thoughts and prayers. 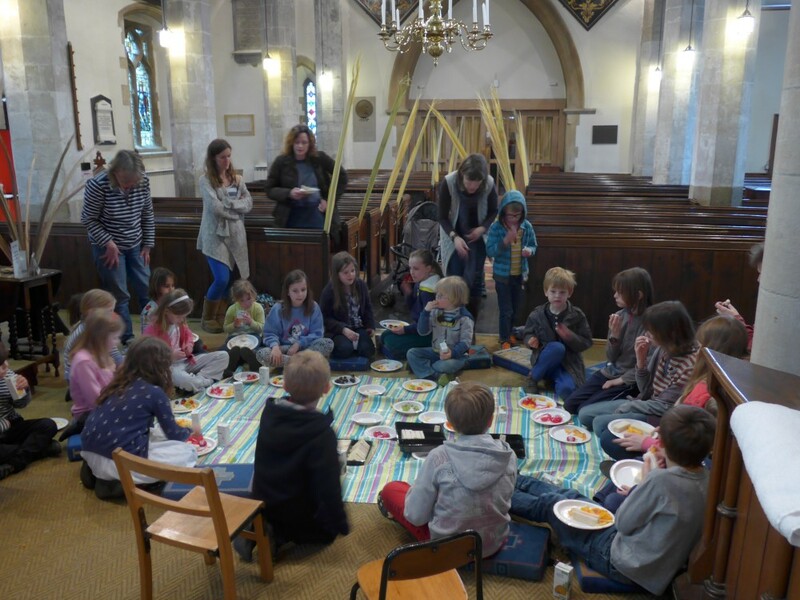 Between Shrove Tuesday and Good Friday there are special areas within the church reflecting different aspects of Christ's 40 days in the wilderness through words, pictures, music and objects. As well as resources in the church, a structured Lent course is also offered to all in the village along with other Lent events offering opportunites to join others in reflection on the themes of this sacred season. Find about what's on this Lent by clicking the link. Palm Sunday marks the start of Holy Week and commemorates Jesus triumphal entrance into Jerusalem. Everyone in church on Palm Sunday is given a palm cross to mark the occasion. On Maundy Thursday we commemorate the Last Supper by sharing a service of Holy Communion. Good Friday begins with a "Walk of Witness" through Chiddingfold pausing at all the churches in the village for prayer. The walk is led by someone carrying the wooden cross which has been signed by Christians in the village representing Jesus' final journey. To mark the hour when Jesus died on the cross a service of reflection and prayer is held. Easter, the day of the resurrection of our Lord, is celebrated at with joyful services.